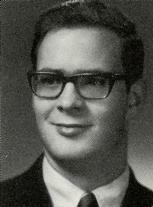 Paul Stark Reuter, 65, of Reedsburg, Wisconsin passed away Tuesday, January 14, 2014, at his residence. Paul was born November 17, 1948, in Kansas City, Missouri, to the late Oscar and Mary (Walco) Reuter. He enlisted in the United States Army, serving for 20 years until his retirement. On May 26, 1970, he married Yong Ae Pak. Survivors include his wife, Yong; son, John Dressel of Kingman, Arizona; sisters, Patty Johnston of Sussex, and Paula Reuter of Cambridge; and many nieces and nephews. He was preceded by his son, James Reuter; twin brother, Phil; and sister, Polly. Per Paul’s wishes, no funeral services will be held at this time. A memorial fund has been established in his name. Farber Funeral Home of Reedsburg is assisting the family with arrangements.